A major step towards the comprehensive protection of the Antarctic environment is the adoption of the Protocol on Environmental Protection to the Antarctic Treaty in 1991. The Protocol entered into force in January 1998 and provides a comprehensive system of obligations and prohibitions addressing most types of activities in the region south of 60 degrees south latitude. However, because of the absence of undisputed sovereignty in Antarctica, the legal protection of the Antarctic environment depends on the collective efforts of the Contracting Parties to the Protocol. Have the Contracting Parties adequately incorporated the key provisions of the Protocol into their domestic legal systems? 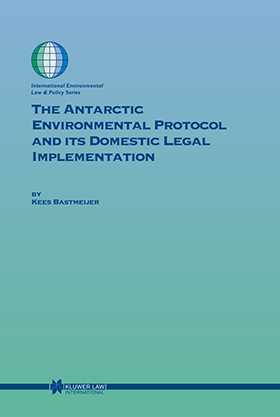 Will the complex of domestic legal systems of the Contracting Parties adequately ensure a 'comprehensive protection' of the 'natural reserve' of Antarctica, as specified by Article 2 of the Protocol? These questions are the subject of this book.